KAFAR (by Willy/Lamers) along with 10502PC-USB device, allows to read orginal floppy disks from ATARI disk drive directly to PC without ATARI computer connected. So far functionality is limited to read operations. Writes are subject of next revisions. More details: ATARI 8bit category / 10502PC-USB page. New device in development: VGA scandoubler initial design ready. You can see first run with in RGB MODE with ATARI STE (the most difficult machine to upscale) at video below. Looks promising, as device will accept composite video, svideo, RGB. 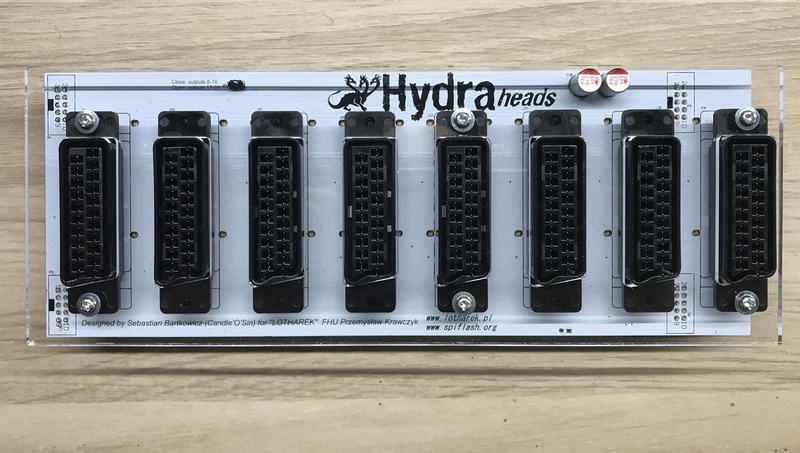 Hydra firmware has been upgraded and is availabe for download. After long time and development, final version of HYDRA HEADS is available. For more details, visit FAQ at HYDRA`S PAGE. I`m proud to announce, that 1050-2-PC/Sio2PC-USB hardware is ready. Soon, more official KAFAR software will be shown. New online service has been launched today at 4pm. I hope You will find it more friendly and intuitive. Please, be aware that we are still working on php code and development , so glitches may happen.